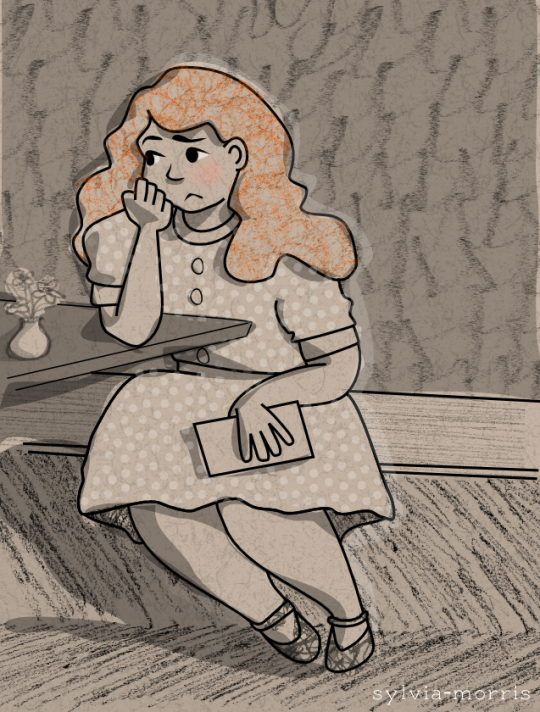 Have a sad 1940s (loosely based on) Eleanor picture. 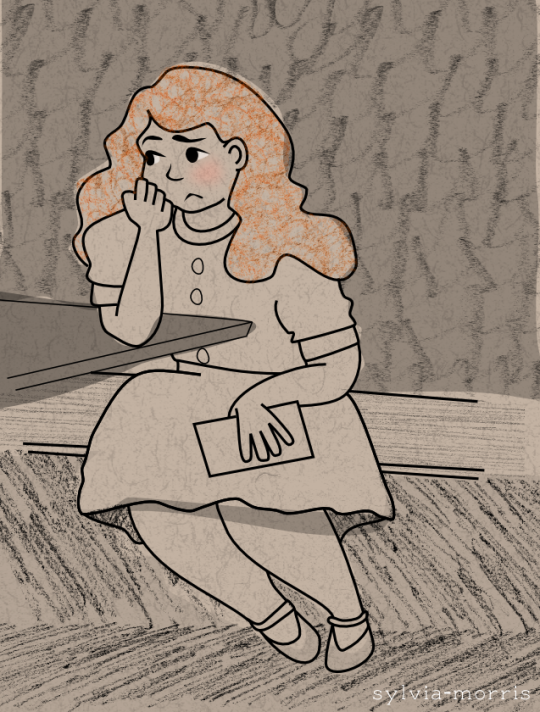 I have some very specific ideas about how I want my new project to look and this is kind of getting there but hasn’t /quite/ made it. Though I’m not sure if that’s just because I haven’t spent enough time adding detail or if it’s because there’s a concept or decision or something I haven’t got ~right~ yet. Hmmmmmm. I think maybe I was mostly just missing detail. This feels much closer to my imagination.